I’m perched on a stool in the right side of the frame interviewing Benefit Co-Founder Jean Ford. 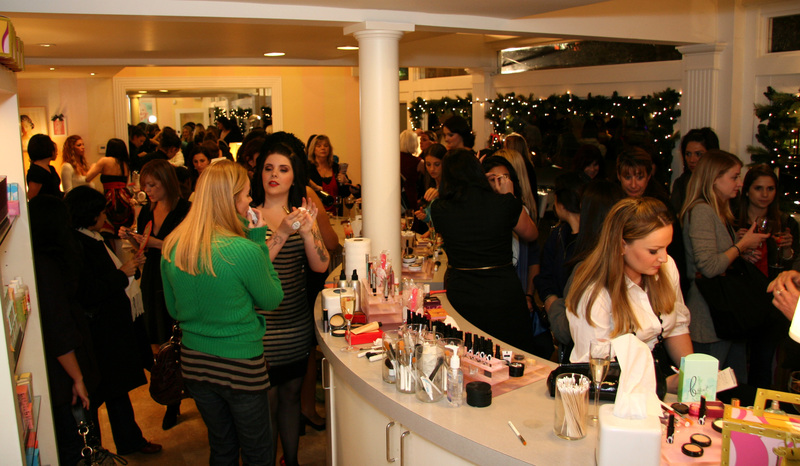 Benefit Cosmetics celebrated the reopening of their boutique on Chestnut Street Friday night with makeovers, tips and tricks, specialty cocktails, pink rock candy, gift bags and plenty of holiday good cheer. The beauty boutique’s self-described whimsical candy store atmosphere was in full effect at the party where customers received customized makeup advice and were treated to the full paparazzi experience, with photographers snapping away. Published on SFUnzipped.com, The San Francisco Chronicle/SFGate.com’s fashion, beauty and shopping blog on Dec. 16, 2008. Here’s the link to the original article.